It's a New Year! Tis the Season of Sales Kickoff! Xceleration Labs Taipei offices this week. 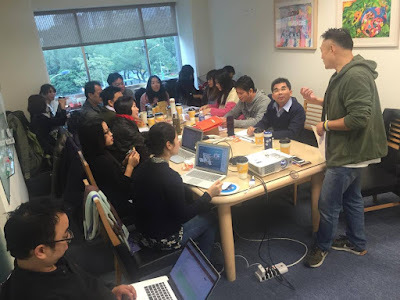 Our very own Kevin Chen, Insitti (a partner organization of Xceleration Labs in Taiwan), leads the kick off sales meeting for Hwashing Publishing and Jibao as they tackle the Taiwan High School market. 2015 cycle had been the initial introduction of Jibao System cloud computing software to teachers featuring it's unique concept map nodes imbedded with text, photos, url links and video. This years version features an innovation easy to use presentation tool, which allows teachers to easy and efficiently grab text, photos, video and urls for their slide building. More to come as we track their progress!